We can confirm we are investigating a serious road traffic collision on Forest Road in Newport, Isle of Wight, which has resulted in the death of a woman in her 60s. 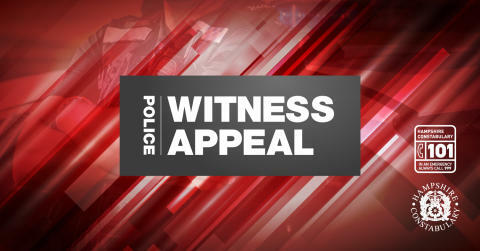 The incident occurred at the junction with Betty Haunt Lane, Newport, at 12.46pm today and involved a bus and two cars. The deceased was travelling in a red Fiat Bravo. Three other people in the vehicle are in a serious condition and have been taken to hospital. The driver of the bus, a man in his 50s, is also said to have sustained a serious injury. Ten passengers who were travelling on the bus have also been taken to hospital as a precaution. Four people travelling in a silver Mini Cooper, were also taken to hospital as a precaution. If anyone witnessed the collision and hasn’t already spoken to police, please call 101 and quote reference 375 of April 14. If you saw any of the vehicles prior to the collision or have Dashcam footage of the vehicles or the incident, please get in touch. Two Air Ambulances attended the scene and all casualties have been taken to St Mary’s Hospital, Southampton General Hospital and Brighton Hospitals. Police, Fire & Rescue and Ambulance attended the scene. Forest Road is currently closed with no access from Betty Haunt Lane or Whitehouse Road. Motorists and pedestrians are advised to avoid the area. The closures are likely to remain in place for some time.